Luxury and luxury accommodation in the bushveld is by no means a given fact, particularly in unspoiled bushveld areas where wildlife is plentiful and is not hunted by man – a scenario which should be the norm, but is not. However, and happily, there is still such a bushveld paradise, where wildlife, the indigenous vegetation, and the environment have priority, while the human beings who visit there, and enjoy luxury accommodation and premium amenities, are guests in an environment that belongs, first and foremost, to wild bushveld fauna and flora. Such a bushveld paradise does exist. It is a place which affords its human guests lovely luxury accommodation and super creature comforts, in addition to devoting itself to the conservation and preservation of the beautiful bushveld and its fauna and flora. The province is Limpopo. The area is Waterberg. Welgevonden Game Reserve is the location, and the luxury establishment, providing its guests with luxury bushveld accommodation, is Fifty Seven Waterberg, our five-star luxury game lodge. One might say that Fifty Seven Waterberg does it all for the bushveld, as well as for its discerning guests. As South Africa’s most northerly province, Limpopo is named after the “great grey-green, greasy Limpopo River”, which is the national border between South Africa and neighbours, Zimbabwe and Botswana. The afore-mentioned, imaginative description is from the pen of Rudyard Kipling, in one of his “Just So” children’s tales. As with Limpopo Province and umpteen other South African places, the Waterberg (Water Mountains) was so named because this wonderful region had a plentiful supply of fresh water (in a water-scarce country), which seemed to originate from, or be created by the mountains in this area. In 2001, UNESCO proclaimed a 15 000 square kilometre portion of the Waterberg region as the Waterberg Biosphere Reserve, which is also a National Heritage site. 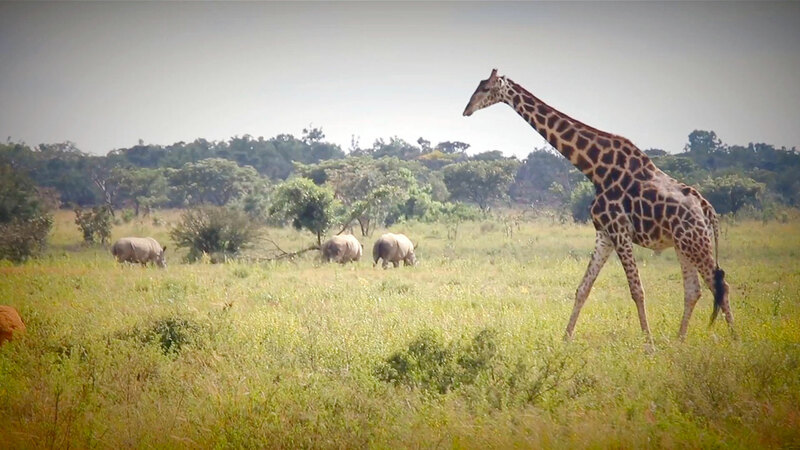 Because of its terrain, natural water, bushveld and biodiversity, the Waterberg is richly endowed with a huge wildlife population, much of which is resident in the privately owned and managed Welgevonden Game Reserve. Our accommodation (and all our other guest amenities) at Fifty Seven Waterberg is nothing if not superbly luxurious. Each one of our five luxury bushveld chalets is at least 80 square metres in size, as befits luxury accommodation in a seemingly limitless bushveld terrain. Top-quality furnishings, tasteful décor elements, and imaginative design further enhance the interior luxury of our guest accommodation suites, which overlook the beautiful bushveld on virtually all sides. Working up an appetite in the fresh bushveld air is to be expected, so five-star fine dining is the order of the day at Fifty Seven, as one would expect at a five-star luxury bushveld lodge. If this sounds like your type of luxury bushveld accommodation, book now for a break at Fifty Seven Waterberg.